I didn't do a real performance test with the Atheros AR9285. But the (sloppy) router in my house now allows me to use the 14z on the 1st and 2nd floor (just like I did with my previous laptop) which was just impossible with the Intel N 6320 (anything further away than 7 meters would cause problems). And at the office I now can work at considerable distance from the access point. I haven't even discussed this problem with a local Dell technician yet, only on this forum. Switching the unit or the card for an identical one isn't the proper way to solve this type of problem. But we have Terry here in this thread, whom I hope is reading along and will do something with the info gathered here. If I have time I will try the N 6320 in another brand laptop and drop the result here. @peterberger, when you say connection with Atheros AR928 is OK, do you mean that is acceptable or that is very good (as it would be for other laptops)? I assume that Dell didn't provide you with the Atheros. Did you tell them about the change in performance so that they become aware of the possibility the issue may be with the card after all? who cares that Atheros AR9285 work up tp 150 Mbps max, it's any way better than Intel N 6230 work up to 300 Mbps (in dell laptops up to 36Mbps max 1-2 meters from router). Dell 1520 Don't think anyone can trust this card. In some forums guys make complaint about it also. Price also nearly double than Atheros. I now installed an Atheros AR9287 adapter I bought brand new on eBay for 15 euros incl. shipping. 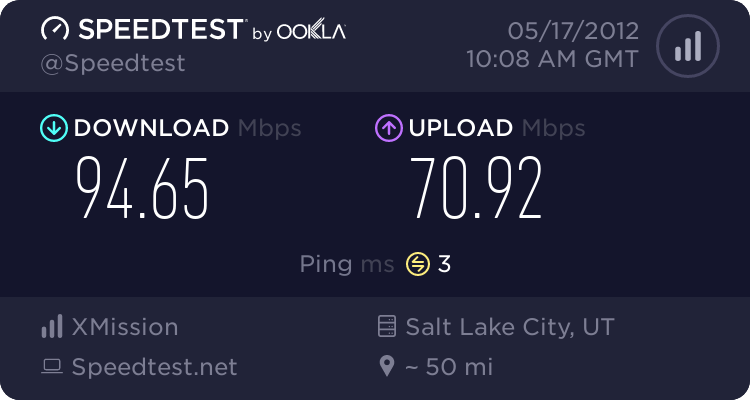 Runs very fast connecting at 300 Mbps to my router anywhere in the house. @ peterberger: Thanks for the idea for going for Atheros. You're welcome @Fompe. Good to hear you also solved the issue with another card. But we still cannot tell if this is a N6230/Router issue or a XPS14z/N6230 problem. The latter I'm not sure of because there are similar issues with the N6230 related to other laptops. Anyway - @Terry: why is Dell silent? We are your customers and we need assistance. did new drivers solved problem?? I tried them but they do not solve the problem. It is an hardware issue. hi @peterberger, your posted link seems to be broken. Can you repost with details of what i am meant to download. I love the 14z but really need the wireless to work or will have to give up on it. Has anyone else successfully resourced to the Atheros AR9287 as an alternative? I had my second visit from the IT guy and he did switch the card from 6230 to a 6300 Card. The 6300 has way more power, but no change in the wireless connection. I will try to talk to the tech Support one more time to see, if they can update the driver. The last updated driver, had no affect, but dell acknowledged that there is an issue with an N driver. Also, I have the issue, that it just disconnects randomly. Anybody any idea what the Mini Wfii Microsoft Adapter do?